i2i Director Marie Firth turns 100!! 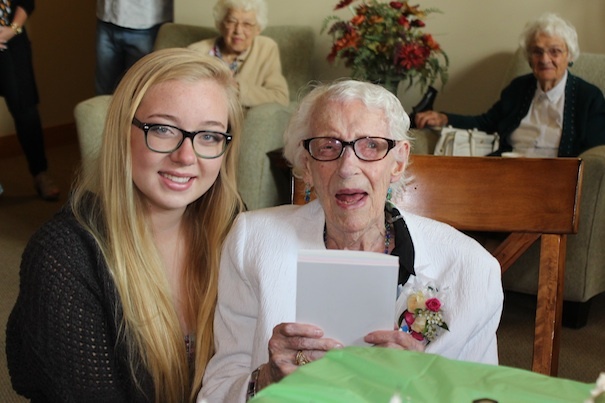 September 2015 Marie Firth and Carly Alexander, participants in the 8 year unprecedentedly successful Meadows School Intergenerational Immersion Project, Coldstream, BC, share a moment at Marie’s 100th birthday. Carly presented Marie with a bound version of the ten children’s stories that author Marie penned over a decade. These stories became the popular Intergenerational Literacy Project (info at intergenerational.ca). Carly, along with other grade 5, 6, and 7 students, illustrated each book and profits from sales of the books fund an annual i2i scholarship of which Carly, now a graduate, was the 2015 recipient. 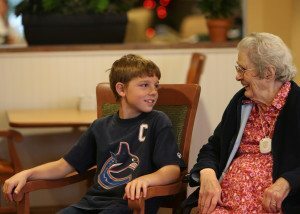 A prototype of the Meadows School Intergenerational Immersion Project is in its fifth transformative year at Williams Lake Retirement Community, Williams Lake, BC. For more information on Intergenerational Immersion working models, pre-school to middle school, contact i2i@intergenerational.ca. 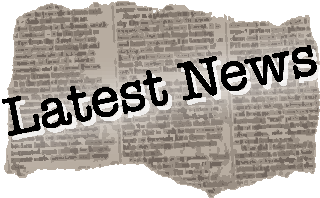 Be sure to follow up-dates on the Intergenerational Immersion Association here, under ‘Latest News’. 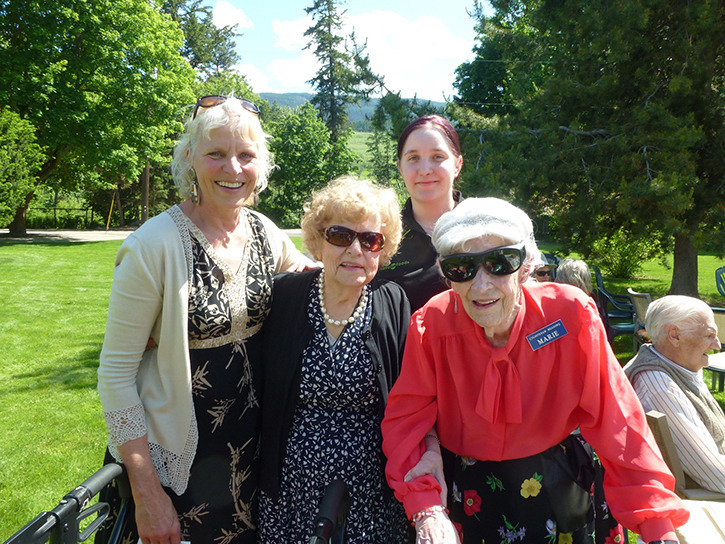 Sharon MacKenzie (left) enjoys a visit with Mary Lattenville and Marie Firth, both participants in the Meadows School Project, and former student participant Erin Sturrock during the June 1 Intergenerational Day Canada celebration. Ice cream, letters of reference and a chance to connect with old friends were just a few of the highlights at the recent Intergenerational Day Canada at Coldstream Meadows. On June 1, former students and participants in the Meadows School Project gathered for a day of celebration and it was a chance to share stories, laughter and friendship. Spearheaded by teacher Sharon MacKenzie, the Meadows School Project ran from 2001 to 2008 with students from Kidston elementary school and residents and staff at Coldstream Meadows Retirement Community before rolling into a second phase in Williams Lake and the newest MSP in Kamloops. The project model bring a class of intermediate students into a makeshift classroom at a seniors’ residence for two full months of the school year. The reunion brought together students and seniors, including special guest Marie Firth, who turns 99 this year. Firth wrote 10 children’s books which were published with MSP students as illustrators, and the funds from book sales has created a $500 scholarship that has been given at Kalamalka secondary for the past six years to a student of the project or who is involved in volunteering with older adults. “I have heard from many via e-mail as they are off in new places with their young adult lives and they all spoke so positively of the experience they had during the project,” she said, adding that letters of reference regarding students’ involvement in the project were made available for those who would like to add to their resumés. Alyssa Ward, now 21, said the project has meant a lot to her throughout her school years. “I was always proud to say that I had been a part of an experience that most children my age had not,” she said. “The project taught me many things in the eight weeks that I was at Coldstream Meadows. Now, 10 years after her participation in the project, Ward has graduated as a Licensed Practical Nurse who works with the elderly, and many other generations, on a daily basis. “I feel that the Coldstream Meadows Project has helped to prepare me for my life-long career,” she said. Now 24, Tia MacLachlan said while she had always cherished her own grandparents, she hadn’t given much thought to them beyond the importance of bridging the gap between seniors and youth. “I remembered thinking how boring it would be to attend school beside a seniors’ community home every day,” she said. “My thoughts changed dramatically in a short period of time, and I soon acknowledged that I was a part of something important. “We changed their notions about us as being reckless and disrespectful kids, and they quickly showed us that they were interesting, witty and kind. Our energy was contagious, and soon the seniors wanted us to be a part of their world. Meadows School Project is the banner initiative of the i2i Intergenerational Society, founded in Vernon, led by former student participant, president Sam Nolan. The society provides free resources and assistance to those wanting to start or share intergenerational projects. Four years ago it launched June 1 as Intergenerational Day Canada and in 2013, more than 100 cities representing every province and territory proclaimed the day. Now executive director of the i2i Intergenerational Society, MacKenzie said the intergenerational message is being carried throughout British Columbia, across the country and around the world. CNPEA: Tell us a little bit about your project. Sharon: The i2i Intergenerational Society grew out of a decade of intensive research that involved over 400 British Columbian children and older adults in the unique Intergenerational Immersion Model, The Meadows School Project. For two months thirty intermediate students moved into a makeshift classroom at a retirement home. The two generations dovetailed their calendars, combining curriculum, public service and one-on-one buddy meetings. Residents, students, staff, parents, children of the residents and school administration applauded the life-changing outcomes of the initiative. Assist in envisioning, implementing and sustaining respectful and purposeful intergenerational relationships. 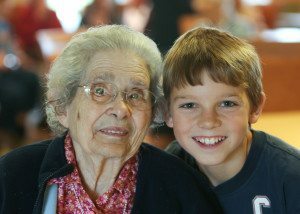 CNPEA: Why is intergenerational learning so important and why is this project fundamentally an elder abuse initiative? 2. It strengthens links between generations, building a more resilient community network. 3. It reduces mistreatment in the future of all ages by instilling empathy and understanding across generations. Intergenerational learning is proactive and counteracts ageism. If we invest in proactive, intergenerational learning opportunities now, then by the time today’s young reach adulthood, they will have an enlightened attitude towards ageing. CNPEA: What does the curriculum cover? Sharon: In the immersion project, there are three components: the government mandated curriculum, public service and 1-on-1 relationships. The students continue to follow their government-mandated curriculum with the teacher selecting appropriate topics for the intergenerational setting (e.g. history, geography, development and aging of the body, healthy lifestyles, story writing, reading, art, music, etc.). The second component is service, teaching students about work ethic and giving back within community (e.g. table setting, raking, etc). The third is a 1-on-1 component to build relationships (e.g. playing cards or visiting together). CNPEA: What excites you most about this project? Sharon: It is possible! It works! We can do this, collaboratively, and it is fun and simple. It does not require that you spend money. Instead it only needs you to do things differently: ‘put on intergenerational glasses’ and see how you can do what you have always done, but do it with an intergenerational perspective. We can help build real understanding between real people of different generations by merely giving them opportunities to become friends. Older adults and children are more the same than different and their joy in discovering this is what makes this approach irresistible. Respectful intergenerational relations are the building blocks to our future as a society. CNPEA: How does your project address ageism? Sharon: We address communication: face-to-face, eye-to-eye, minimize distractions and background noise, rephrase to assist understanding, say what you mean, mean what you say, be polite, smile. We create opportunities for children and older adults to meet as one person to another. In building their relationships, they eventually find they share many things in common all the way from loneliness, to the same birth month or perhaps a hearing disability. CNPEA: Earlier you mentioned something about giving responsibility to kids and older adults? Can you tell me more about that? Sharon: It’s about doing WITH as opposed to doing FOR. As health care workers of aging adults and educators of the young, we are great as socially responsible citizens. We are caretakers of others and watch out for their best interests. But where I see us really missing a tremendous opportunity is in the area of personal responsibility. As teachers and health care workers we often do FOR. In fact a much stronger approach is to do WITH—a true collaborative approach. That is a healthy empowering participatory mode for everyone. I did a presentation for the National Seniors Council and the banner they displayed said ‘Working FOR Seniors’. As I stood up to present I mentioned that I thought their banner should say ‘Working WITH Seniors’. Most seniors are perfectly capable of doing things FOR themselves with only some facilitating assistance. Why would we not consider their contribution as extremely valuable, cost effective and—as the senior demographic broadens—sustainable? The mistake we make, in good faith, both for senior adults and children, is taking away self-dependence and interdependence. What our real job should be is as facilitators to empower youth and older adults to work together on their own collaborative initiatives. We still need to be there, but as partners not leaders. At i2i we have had success with our projects because they are built with collaboration from the onset. Even our Board ranges from a 23 year old President to a 99 year-old Board member. We know that you have to be the change you want to see. 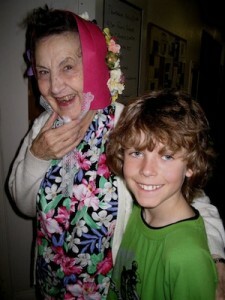 Intergenerational Day is now recognized in many communities across Canada on June 2010. Learn more about the i2i Intergenerational Society. For the first time since the Age-Friendly Cities initiatives were formed by the World Health Organization (WHO) in 2006, the International Federation on Ageing (IFA) and Turyak Seniors Council awarded prizes of $20,000 (USD) to two exceptional projects showcasing the best Age-Friendly Cities project and the best future vision for an Age-Friendly City. The top ten (10) competition finalists included; Hong Kong Housing Society Elderly Resource Centre;Quimper(France); Sharon MacKenzie Educational and Intergenerational Consulting (Canada); Human Endeavour (Canada), Ageing Well Network(Ireland); City of London (Canada); Vietnam Public Health Association (Vietnam); and Los Altos, California (United States). Congratulations to all those who participated. To view the videos demonstrating the top ten finalists age-friendly projects, click on their names above. The winner of the Best Existing Age-Friendly Initiative category was Age-Friendly New York. 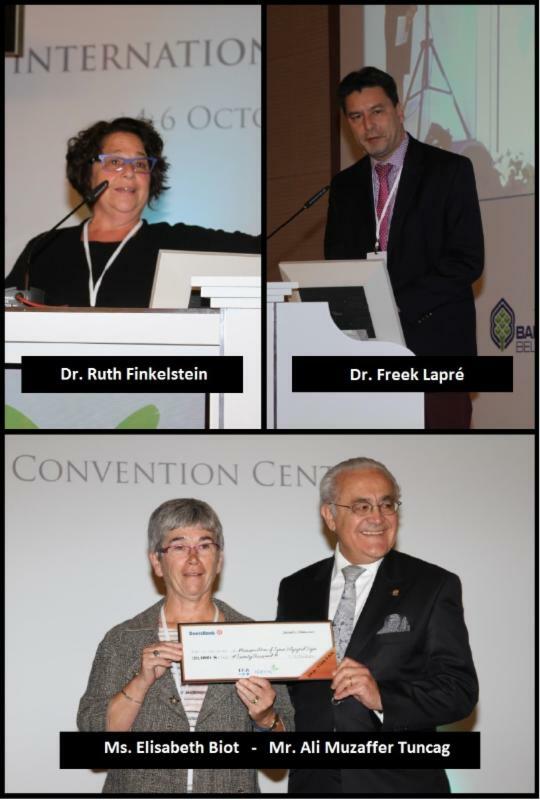 The award was accepted by Dr. Ruth Finkelstein of the New York Academy of Medicine. The winner of the Best Future Vision of an Age-Friendly City or Community category was the DIVANET Tri-City Project of Volgograd (Russia), Izmir (Turkey) and Dijon (France) and was accepted by Ms. Elisabeth Biot, Deputy Mayor of Dijon and Mr. Ali Muzaffer Tuncag from the Izmir Metropolitan Municipality. During the IIIA congress, a $3000 (USD) prize was also awarded to recognize the best full paper presented at the congress. The winner of the Best Full Paper Award was Dr. Freek Lapré of the Netherlands for his paper “Service Quality in Nursing Homes“. Please share this important work and contribute to building an age-friendly world. A project that had its conception and development in Vernon has been selected as one of five in an international competition for the most Innovative Intergenerational Solidarity initiative. The Meadows School Project (www.intergenerational.ca) was judged in June, along with projects from around the world, by world health care researchers and international seniors’ advocates. This week, project founder Sharon MacKenzie, a former Vernon teacher and now executive director of the i2i Intergenerational Society of Canada, is in Istanbul, Turkey to do the final presentation and learn the results of the competition. The Meadows School Project ran for eight years in Vernon with students from Kidston elementary school and residents and staff at Coldstream Meadows Retirement Community before rolling into a second phase in Williams Lake, now in its third year. Two other projects are slated to begin in Kamloops and Summerland School Districts this year in cooperation with Retirement Concepts facilities. The Meadows School Project model sees a class of intermediate students move into a makeshift classroom at a seniors’ residence for two full months of the school year. Meadows School Project is the banner initiative of the i2i Intergenerational Society, founded in Vernon, led by former student participant, president Sam Nolan. Five of the 10-member board are from Vernon. The society provides free resources and assistance to those wanting to start or share Intergenerational projects. Four years ago it launched June 1 as Intergenerational Day Canada and in 2013, more than 100 cities representing every province and territory proclaimed the day. The results of the world competition for Vernon’s Meadows School Project, which includes the UN World Health Organization representatives, will be announced this week. 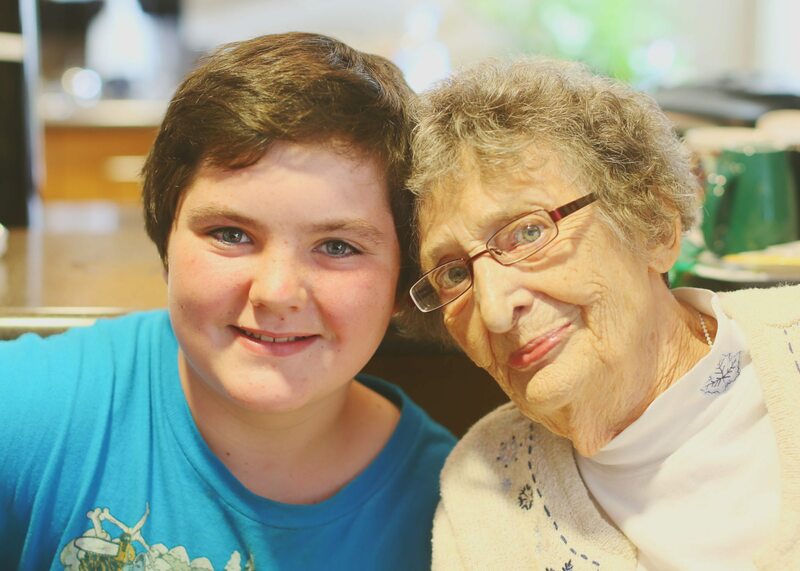 As June 1st was declared Intergenerational Day by 90 cities across Canada it is timely to examine how one of our members, Retirement Concepts, has fully embraced the benefits and values of full immersion in intergenerational programming at its Williams Lake Seniors Village. The i2i Intergenerational Society of Canada was created in 2008 to assist Canadians in the building of bridges between generations. Founder Sharon Mackenzie has worked for over thirty years connecting school aged children and youth to different generations within their communities. In 2000, then a teacher in Vernon, Sharon approached a neighbor who had recently purchased an Assisted Living Facility. Unsatisfied with the impact of occasional visits to senior care facilities with her students, Sharon was looking for something that would create sustainable relationships and provide unique learning opportunities for both generations. The “Meadows School Project” was born. For the students the educational and social goals mandated by the Ministries of Education and Health were met. The project plan required that students spend time on their dedicated studies, which for a large part adapted well into the senior context. Sharon discovered that the curriculum really resonated with the students in this environment and that the students had a measurable increase in curriculum retention. The program also required each student to participate in at least ninety minutes of public service each week. This service component provided the students with the opportunity to develop their work ethic. As well, the project created designated daily times for the seniors and students to connect one-on-one. This provided the most valuable outcome. The mutually empathetic and concrete connections made between the seniors and students could only be forged in this setting. Sharon believes that this was the best experience of her life: “ How often in your life do you have the opportunity to change lives?” The legacy of Sharon’s project can be seen today on the board of directors of the i2i Intergenerational Society: one of the original Meadow School Project students, Sam Nolan, is now the president of the board. Modeled on Sharon’s original project; the Williams Lake Seniors Village Project’s program integrates the students in the daily lives of seniors while allowing them to focus on their ministry-mandated curriculum. Again the approach to the program focuses on academics, service and relationship building between the generations. And again; the intergenerational immersion has been a great success. “I have been teaching school for twenty years and I can honestly say this has been the most rewarding year of my career thus far.” says Cataline Elementary teacher Steve Dickens. The experience proved that the intergenerational immersion program could build understanding and bridges; and it could dissolve boundaries between generations. Buoyed by the success of the Williams Lake Seniors Village Project, Retirement Concepts is working with Sharon and the i2i Intergenerational Society to implement the intergenerational project in their Summerland Seniors Village and Kamloops Seniors Village facilities. Residents will be able to enjoy the programming this September. Retirement Concepts is dedicated to implementing full immersion intergenerational programming across all of their residences. Let the intergenerational movement begin! For more information, resources, sharing, and celebrations in the field of intergenerational relations please visit the i2i Intergenerational Society website at http://www.intergenerational.ca. You will also find more information on the groundbreaking Meadows School Project. At Moberly Manor last Wednesday, George Hopkins was busy wowing a group of teenagers. First, he showed them his 50-year-old mechanical calculator. Then, out came the Kodak Brownie – the 19th century camera that revolutionized photography and made it affordable for the masses. He also had a mechanical level with him. Seeing Eye to Eye (i2i), inter-generationally!